If you were a 1983 baby and your name is Rebecca, you’d be called Victoria if you were born today. And if you are a Caitlin born in 1990, your birth certificate would say Sarah if you made your entrance to the world today. How do we know this? You’ve probably seen or used a baby name finder before, but not one like this. Time has created a fun generator that uses name popularity charts to work out what you might have been called had you been born at a different time. 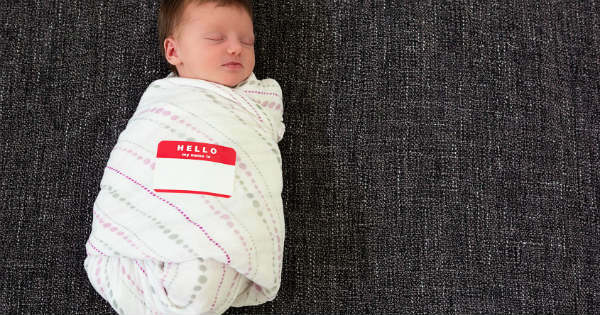 It finds out where your moniker fell on the top baby names list in the year you were born – and then correlates that to the latest US baby names list, and those of past decades. For example, my name was seventh most popular in the year I was born. The corresponding name today would be Emily (I can live with that); if I’d been born 10 or so years earlier, it might have been Deborah. In the 1930s, I would have been a Doris. If my parents had stuck to their penchant for the seventh-most popular girls’ name, that is. Are you ready to find out your name – or your kids’ names – by the decades? Plug the details into the Time website – but be warned, it’s highly addictive (and of course, not necessarily accurate – but fun all the same).